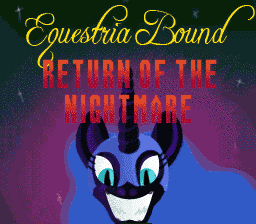 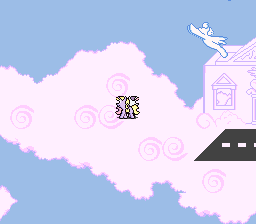 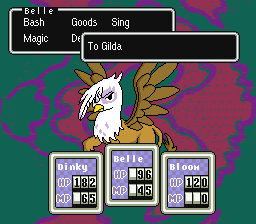 A Complete My Little Pony conversion of EarthBound, including a new script, music, graphics, and events. 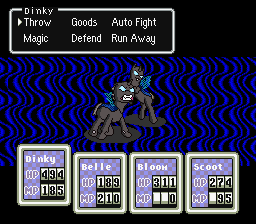 With the Spirit of Nightmare Moon returning to Equestria, Dinky, Sweetie Belle, Apple Bloom, and Scootaloo must team up to gather the Elements of Harmony and defeat her. 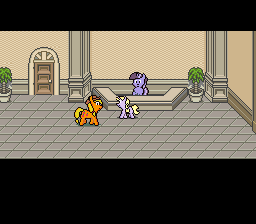 File includes patches for both Headered and Unheadered roms.